Family Keylogger will let you monitor what people you share your computer with type when you are away. 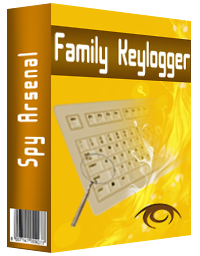 Working in the background, Family Keylogger will record every keystroke a user makes in every application and save it to a text file. In Stealth mode, the program is totally invisible to other people who are not aware their computer activity is monitored. In addition to recording keystrokes, Family Keylogger will also track the launch of applications, sent emails, visited websites, and save information typed in the forms. The program is simple to install and use. Once installed, it opens to QuickStart window that will instruct you on the main features and on how to use the keylogger.